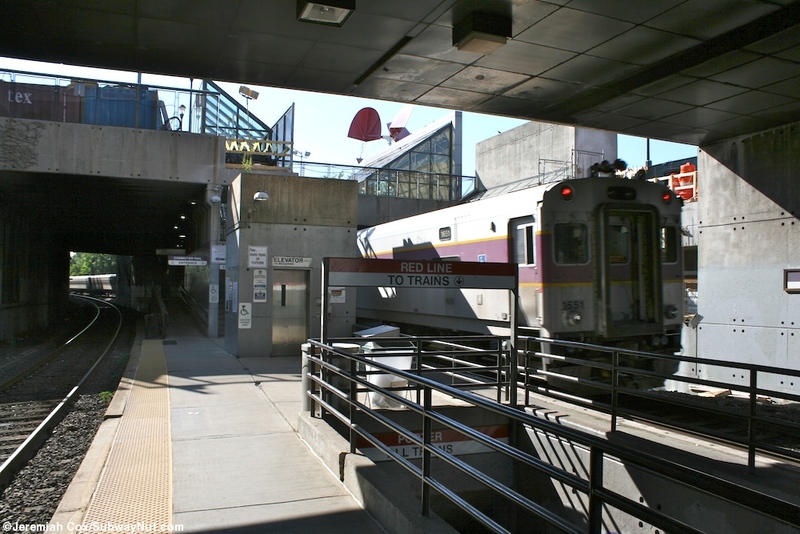 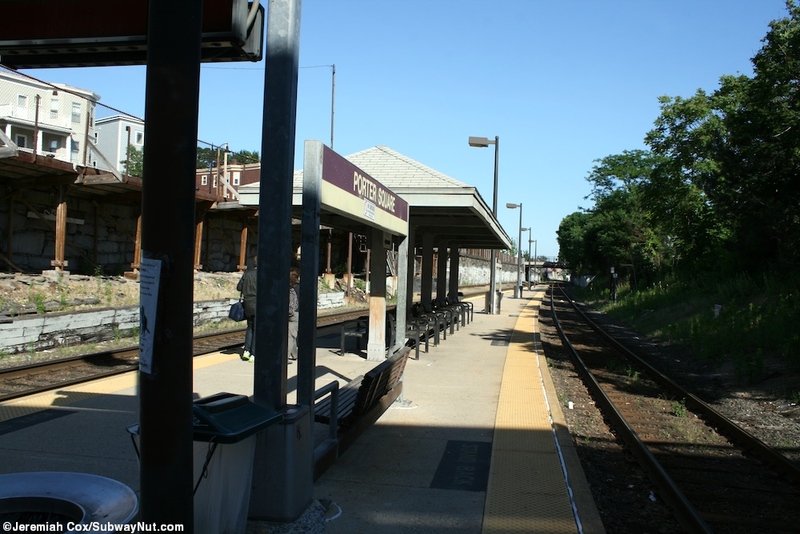 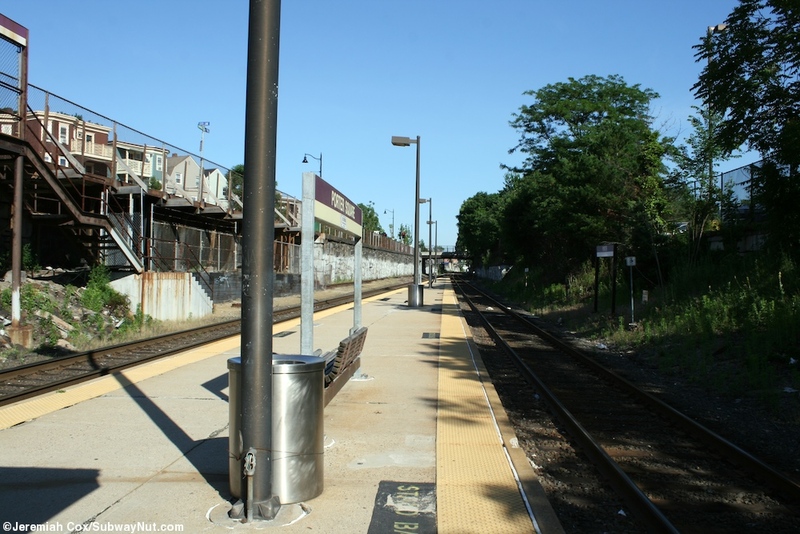 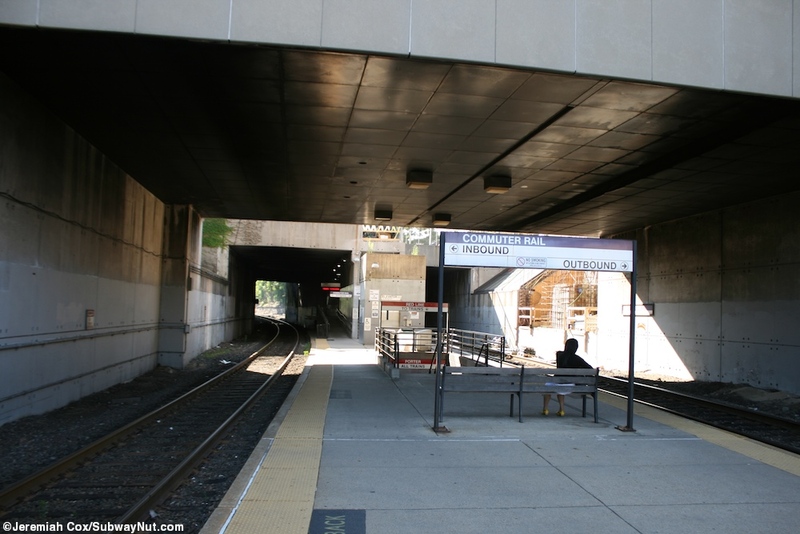 The Porter Square or Porter Commuter Rail Station (the few platform signs say both) is located in an open-cut just beneath street level allowing it to pass beneath busy Massachusetts Avenue, and above the deepest Subway Station (named just Porter). 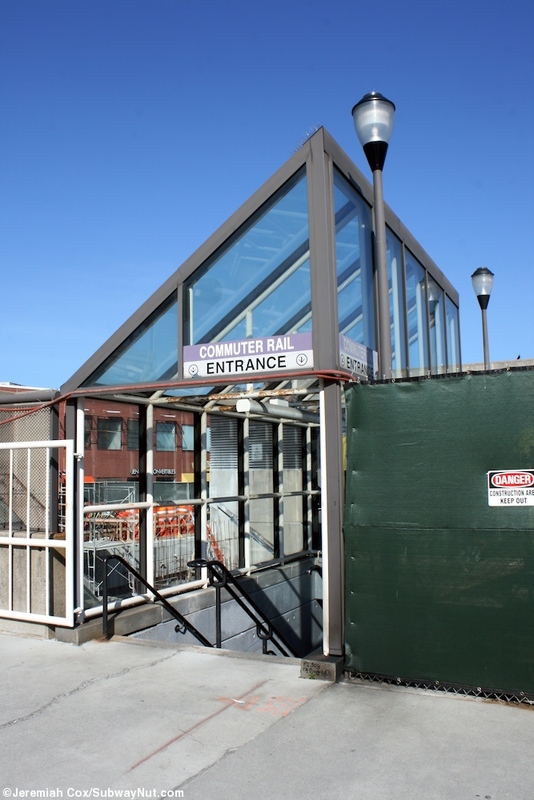 The stop has a single mostly low-level island platform for the two track line with a mini-high platform for ADA access at its outbound end. 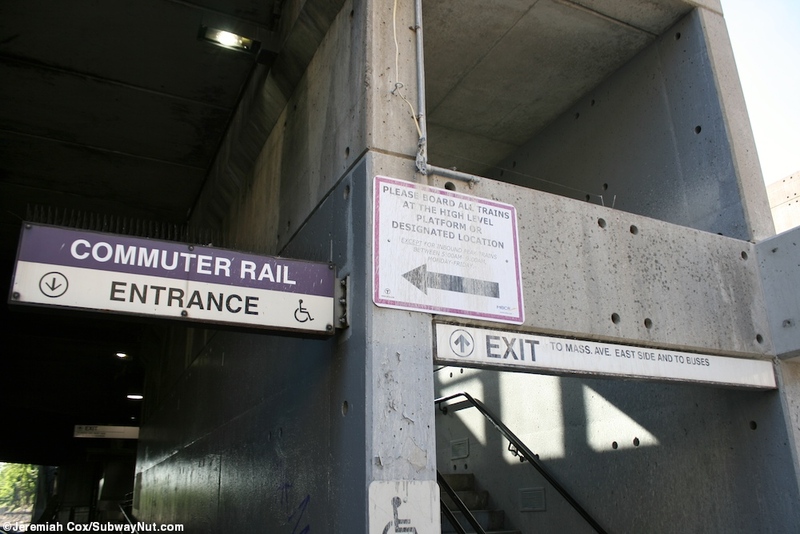 This platform is where signs tell all passengers to board except AM peak inbound trains. 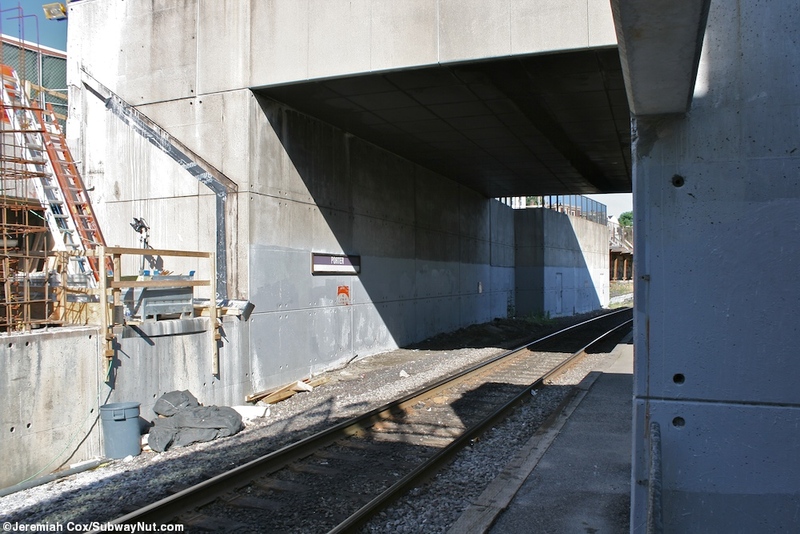 The stop has a small sheltered area with benches beneath and the various overpasses that cross over the open-cut also provide some protection to waiting passengers. 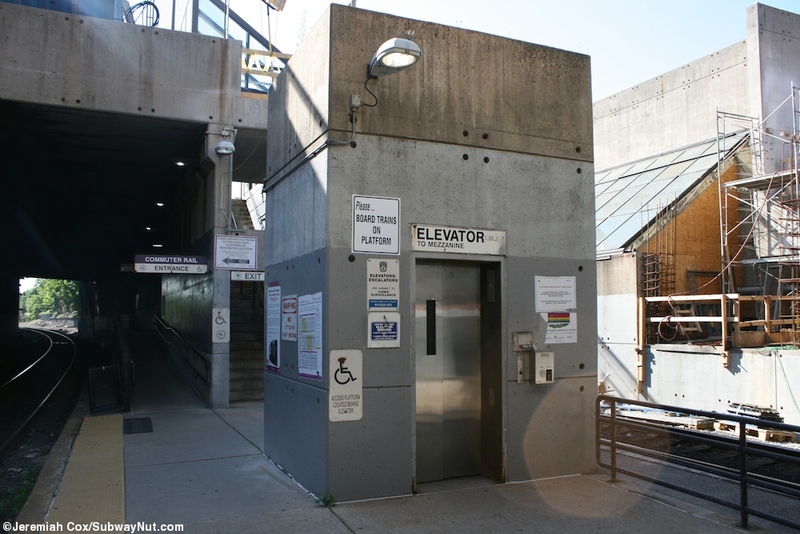 The platform has three means of access: a staircase directly up to street a short ways away from the subway station entrance, a elevator down into the subway station mezzanine just beneath and a staircase down there as well.